Have you ever received a load of fresh cut produce, and after checking out a few bags you found some problems? But now what? How much discoloration are you allowed, how much decay is permissible? Well, I will try not to confuse the issue, but reading the USDA Inspection Instructions and trying to make sense of what you are doing is a challenge. Let’s just say, who ever in the USDA came up with these inspection instructions must have had a great sense of humor. Because of the complexity of inspecting Fresh Cut Product I have included a copy of the inspection instructions for you to download and read at your leisure. First off, when inspecting cut or sliced products, such as carrot sticks, cauliflower florets, celery sticks, the inspection is sort of plain and simple. Your sample would be all the pieces in the bag, but stop counting when you reach 50 count. Look for defects, such and discoloration, flabby pieces, or decay. Count up the defects and divide by the number you inspected to give you the percent of defects. Three carrot sticks with decay, would equal 6%, if you looked at 50 carrot sticks. If you looked at 25 carrot sticks and found 5 pieces with decay, you would have 20% decay. You would use this count method only if the pieces are uniform in size and length. Of course the USDA does not define what is considered as “uniform,’ so use your best judgement. If they are not uniform in size then your inspection is based on weight, using a gram scale or ounce scale. Now comes the tricky part. 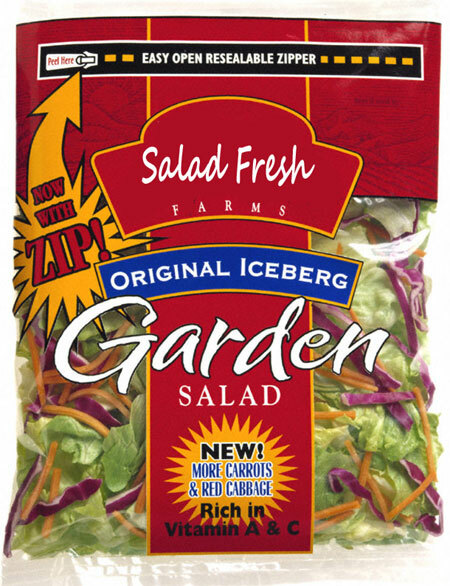 How do you inspect salad mixes? When you encounter the mixes, the inspection is based on a weight basis. If you think this sounds like a tedious inspection, you are 100% correct. 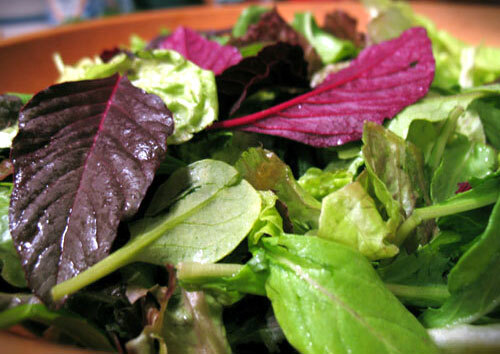 You would take a bag of salad mix, dump out the entire contents, but inspect not more than 8 ounces, or 225 grams. Spread the pieces around on a clear white board and begin to pick out any pieces that have defects. Again, the USDA has offered no guidance as to what is a defect and what is not a defect, only suggesting you use your common sense. Because this makes uniformity between inspectors a very difficult task, I would suggest you work as team with your QA Staff, to help everyone get on the same page. After you separate all the defects into little piles, such as a pile of discoloration, a pile of core pieces, a pile of decay, you would then count all the pieces in each pile. Record your count, and then combine all the piles and weigh them as one group of defects. Divide your total weight of defects by your sample size to give you the percent of defects. You would report, for example, 12% defects, including 17 pieces of discoloration, 9 core pieces and 6 pieces of decay. No matter if you are inspecting salad mixes or sticks or florets, the percentage of defects you find does not mean the product is in grade or out of grade. Their are no grade tolerances for any fresh cut produce……except broccoli florets, but that is for another post. Please click on the following link to download a copy of the Fresh Cut Produce Inspection Instructions. regarding salad mix. The inspections are a farce. accuracy each and every tiny leaf for defects? depending on whomever is doing the inspection. no more fresh cut inspections for me. Hi, nice post. I have been thinking about this topic,so thanks for sharing. I will definitely be coming back to your site.